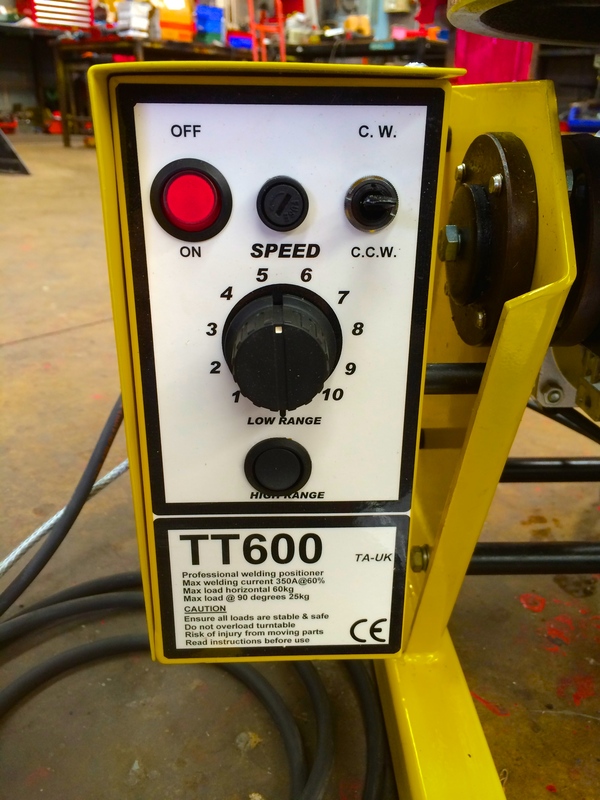 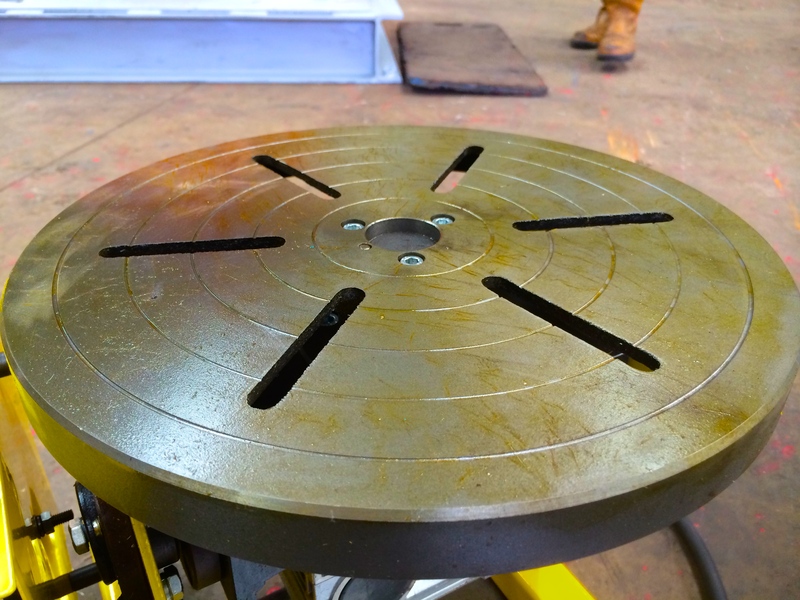 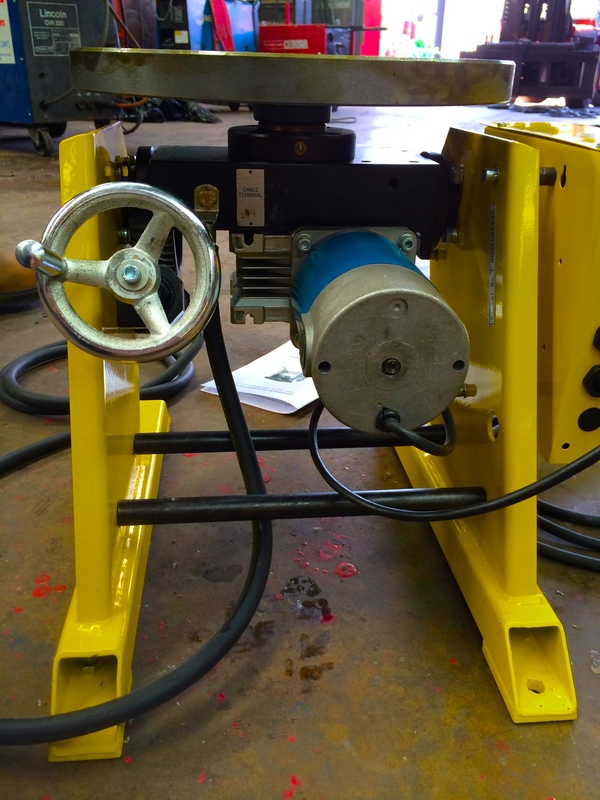 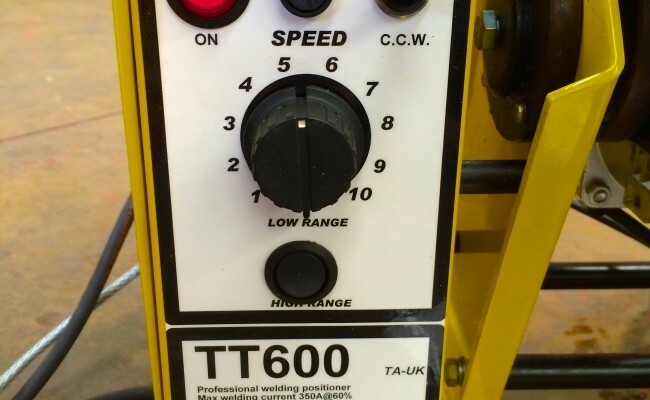 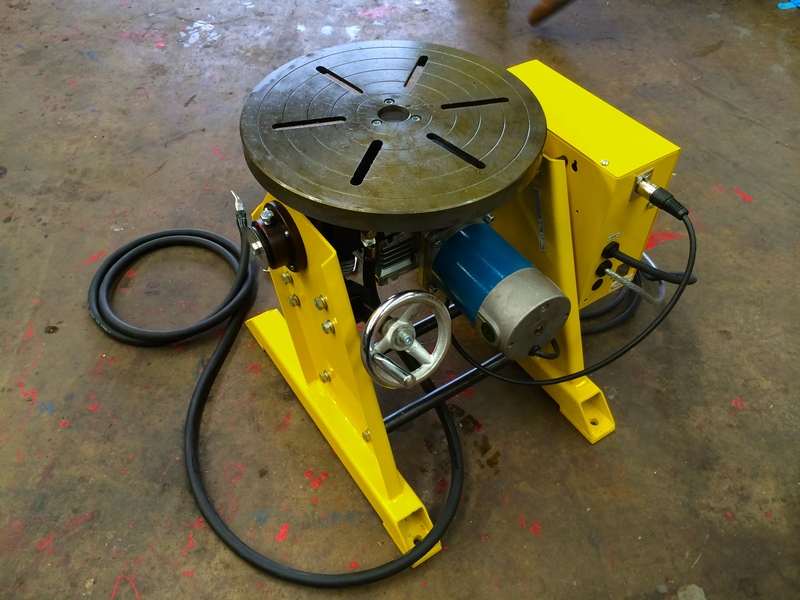 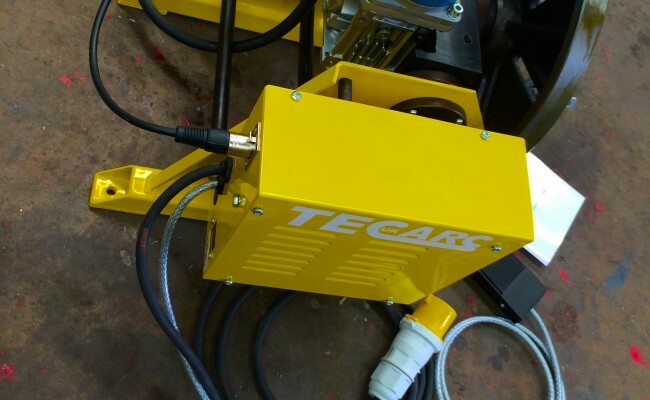 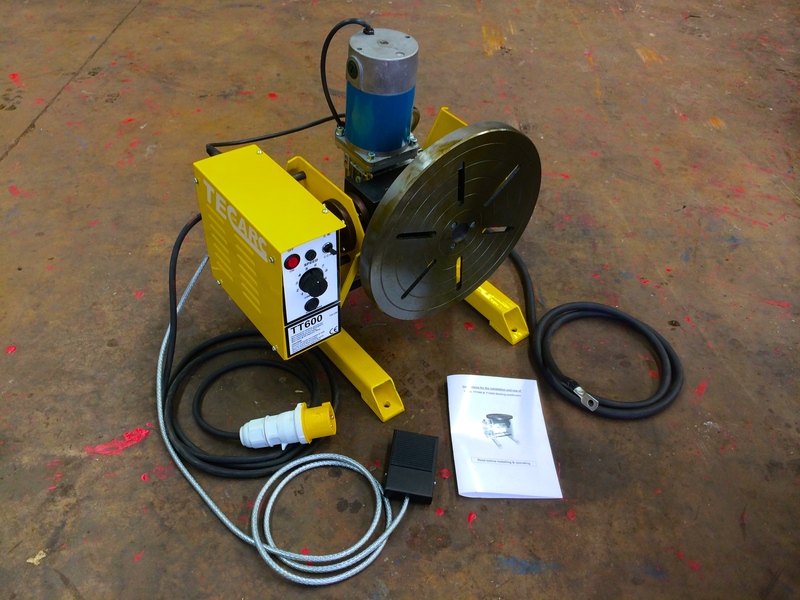 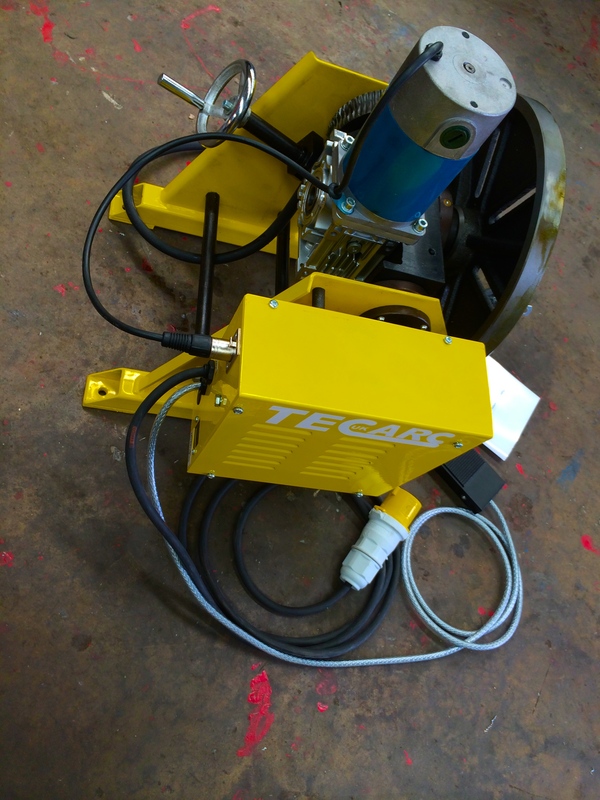 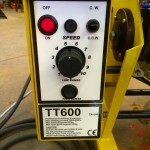 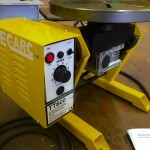 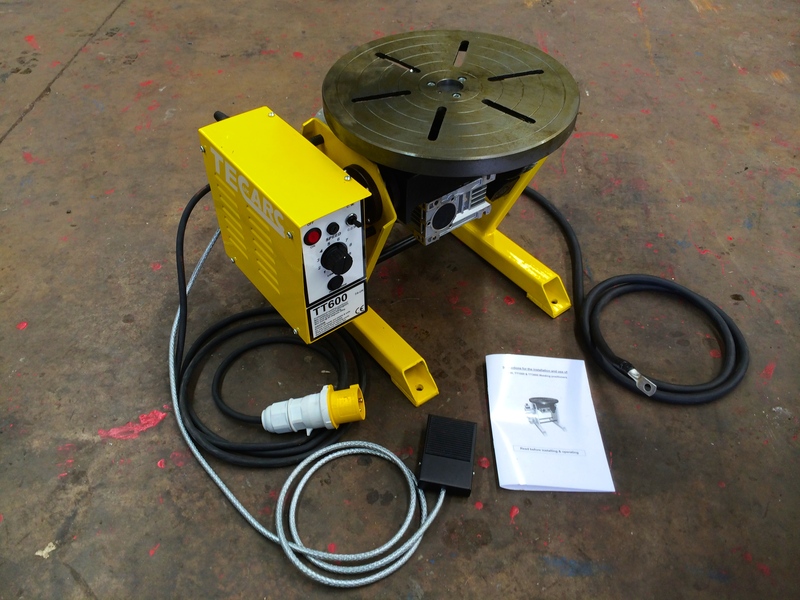 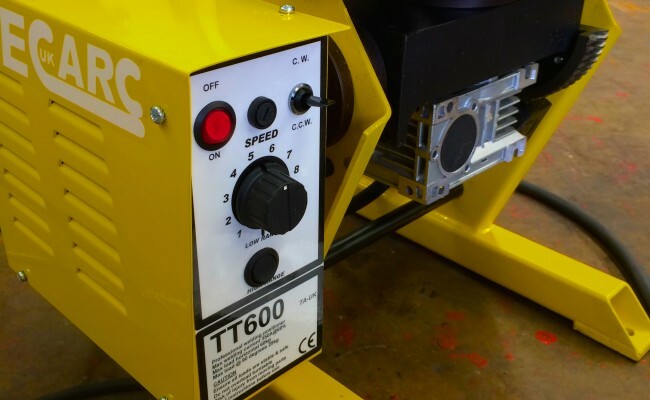 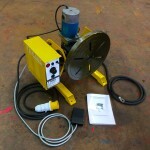 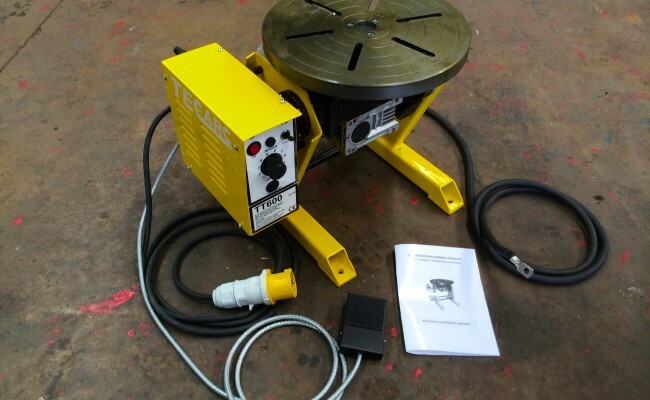 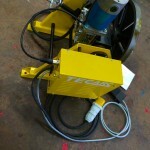 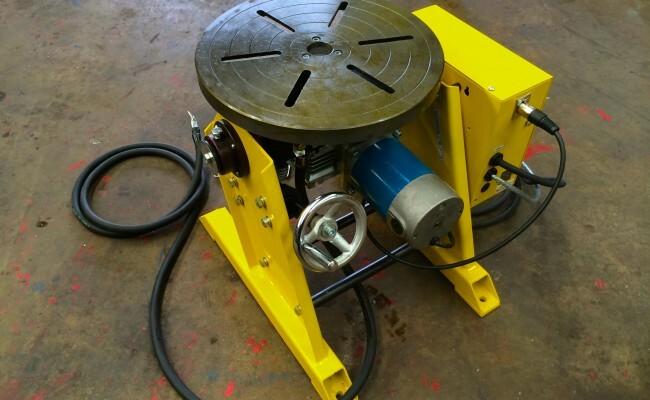 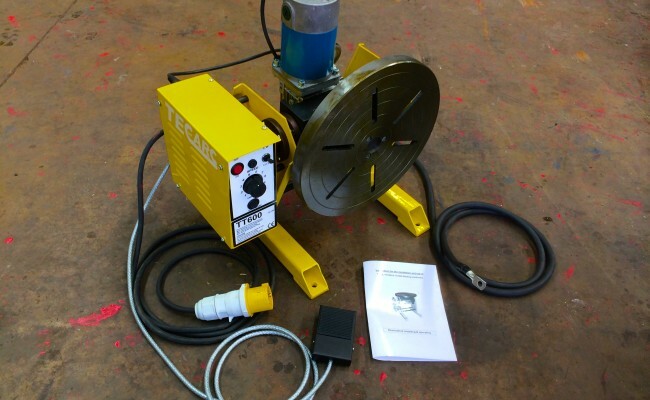 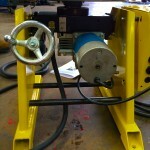 Here is one of our many brand new 60 kg welding positioners that is available to hire or buy. 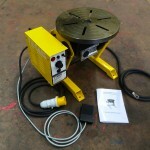 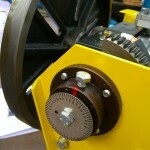 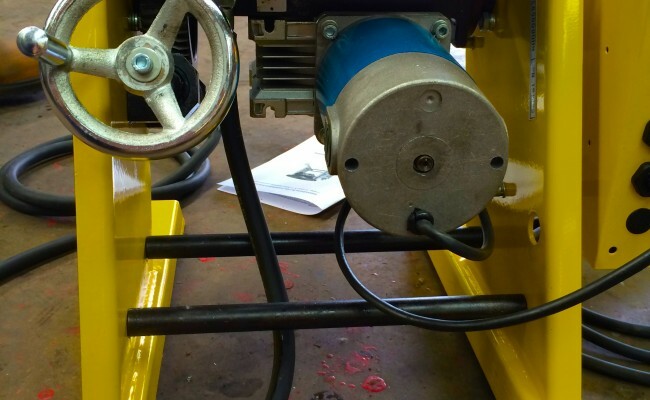 It has a speed potentiometer that allows for 0.5 - 12 rpm, 110V/240V supply, is foot pedal operated and weighs 40kg. 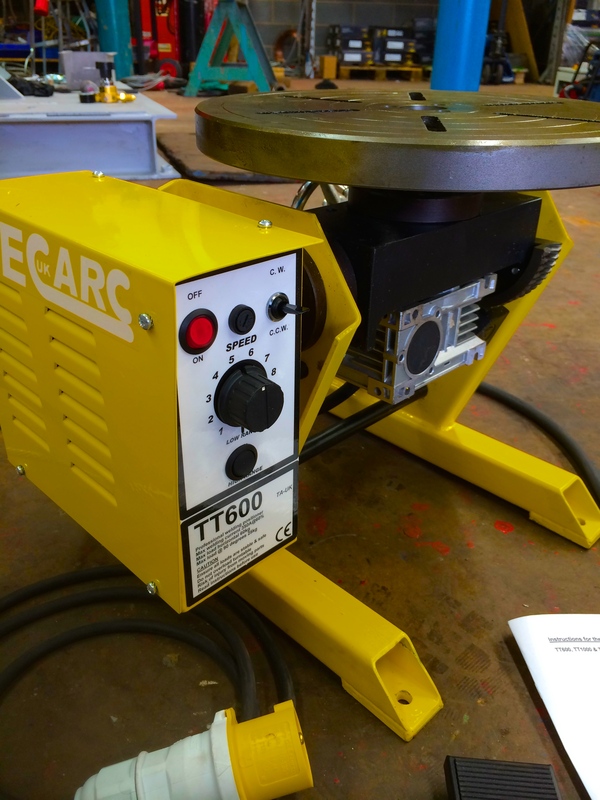 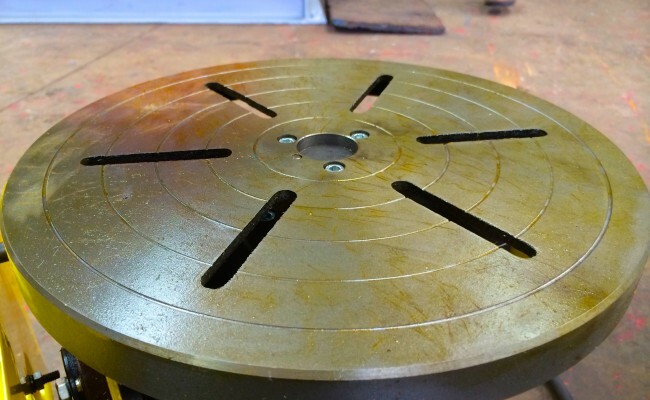 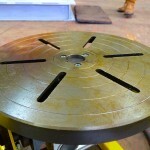 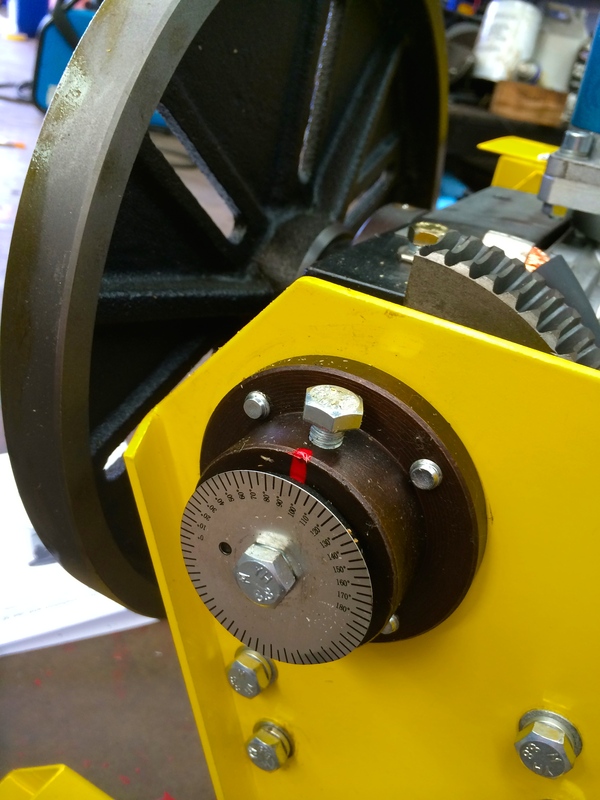 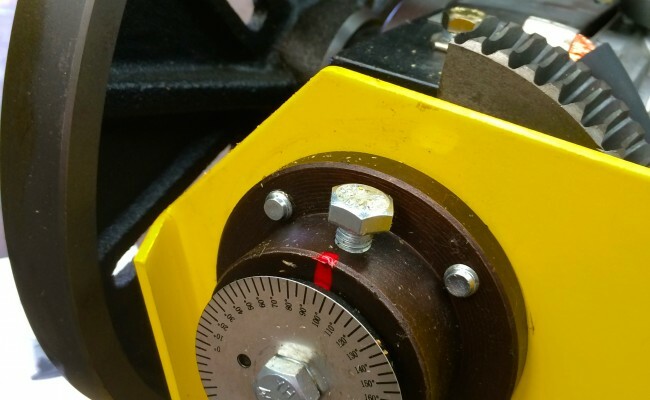 With the turntable in the vertical position (horizontal job) this machine has a maximum load capacity of 30kg @ 150mm protruding from the table. 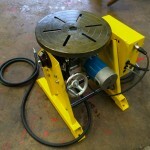 We also have in stock 8" 3 jaw quick release chucks available that bolt to the table to allow for easy clamping.